The Auschwitz Institute for Peace and Reconciliation (AIPR) marks the annual International Day of the Victims of Enforced Disappearances on August 30, 2017. First observed in 2011, this annual commemoration was established by the UN General Assembly through Resolution 65/209, which was adopted in December of 2006. The resolution provided for the adoption of the International Convention for the Protection of All Persons from Enforced Disappearance. 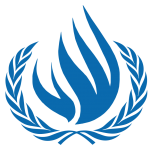 The United Nations Office of the High Commissioner on Human Rights (OHCHR) maintains the Committee on Enforced Disappearances, a body of independent experts that monitors implementation of the International Convention. The Committee most recently met in March of 2017 for its twelfth session, the report of which is available here. The OHCHR has also produced a detailed Fact Sheet on enforced disappearances, which can be found here. In the spirit of commemoration for the International Day of Victims, the Committee on Enforced Disappearances and the Working Group on Enforced or Involuntary Disappearances issued a joint statement, which can be found here. The classic image of a victim of enforced disappearance is that of a person being deprived of liberty, taken to a secret place of detention, and being kept there without any further contact with the outside world. Yet victims of enforced disappearances are also the parents, children, partners or friends of those who have disappeared; anguished women and men desperately seeking any information, even if only a clue, that will lead them to their loved ones. AIPR expresses its concern related to the fact that forced, enforced, and involuntary disappearances continue to hit our societies. Now, even more so than in years past, the Auschwitz Institute urges all States to ratify and implement the International Convention for the Protection of All Persons from Enforced Disappearances and to use it as an effective tool in the fight against impunity and towards guaranteeing peace and stability for all.